Japan is, without a doubt, a very photogenic country. We’ve even featured some stunning timelapse videos from The Land of The Rising Sun, which showed a wide variety of Japan’s landmarks. But, here is a side of Japan that you may not have known existed. In the photograph below, you can see Yuki-no-Otani Snow Canyon in Toyama. 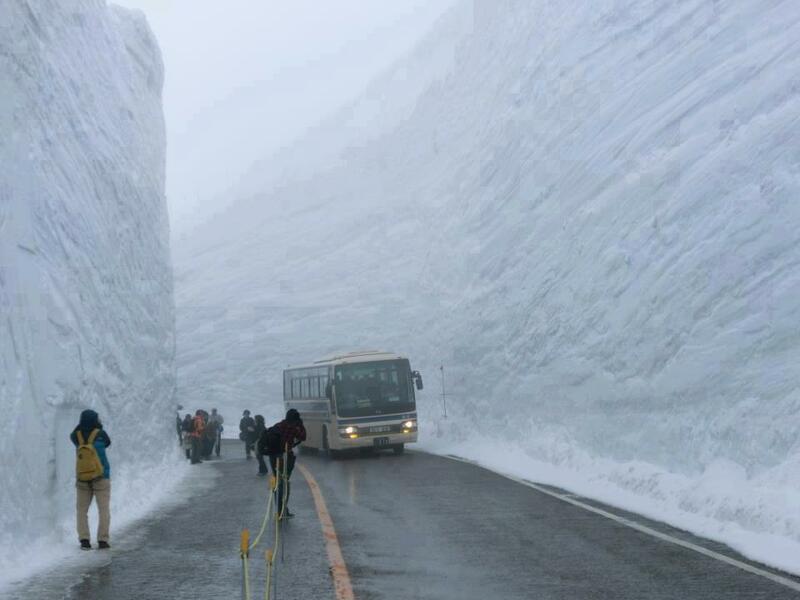 The Canyon, which features 60-foot walls of snow is affectionately referred to as Tateyama Alpine Route. As you can see, the Tateyama Alpine Route is quite a touristy region. The brave travelers and photographers line up along one side of the road to photograph the towering walls. Perhaps even more brave are the passengers on the bus that navigate down the seemingly sketchy route. I knew this awesome place. But I got a doubt: is that picture taken in november?